A Peeping Tom is frightening the women of Eastvale; two glue-sniffing young thugs are breaking into homes and robbing people; and, an old woman may or may not have been murdered. Investigating these cases is Detective Chief Inspector Alan Banks, a perceptive, curious and compassionate policeman recently moved to the Yorkshire Dales from London to escape the stress of city life. In addition to all this, Banks has to deal with the local feminists and his attraction to a young psychologist, Jenny Fuller. As the tension mounts, both Jenny and Banks' wife, Sandra, are drawn deeper into the events. The cases weave together as the story reaches a tense and surprising climax. The novels of Peter Robinson are chilling, evocative, deeply nuanced works of art. - Dennis Lehane. If you haven't encountered Chief Inspector Alan Banks before, prepare for a crash course in taut, clean writing and subtle psychology. And watch for those twists - they'll get you every time. - Ian Rankin. A Peeping Tom is frightening the women of Eastvale; two glue-sniffing young thugs are breaking into homes and robbing people; and, an old woman may or may not have been murdered. Investigating these cases is Detective Chief Inspector Alan Banks, a perceptive, curious and compassionate policeman recently moved to the Yorkshire Dales from London to escape the stress of city life. In addition to all this, Banks has to deal with the local feminists and his attraction to a young psychologist, Jenny Fuller. As the tension mounts, both Jenny and Banks' wife, Sandra, are drawn deeper into the events. The cases weave together as the story reaches a tense and surprising climax. 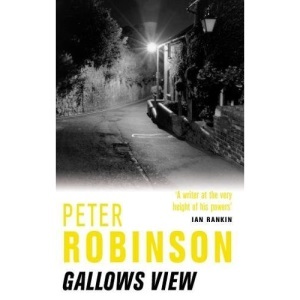 "The novels of Peter Robinson are chilling, evocative, deeply nuanced works of art." - Dennis Lehane. "If you haven't encountered Chief Inspector Alan Banks before, prepare for a crash course in taut, clean writing and subtle psychology. And watch for those twists - they'll get you every time." - Ian Rankin.